Paul Hunter Barratt AO is a former senior Australian public servant and policymaker. He is currently Deputy Chairman of the Cooperative Research Centre for Advanced Composite Structures and Chairman of Australia 21. Paul Barratt had a career in Commonwealth Government service spanning more than 30 years, culminating in appointments as Secretary to the Departments of Primary Industries and Energy (1996-98) and Defence (1998-99). In that time his main focus was on resources, energy, primary industry and international trade, with a strong emphasis on bilateral trade negotiations. He has conducted Australian government business in more than 30 countries, with a strong emphasis on China and Japan. A strong theme in his international trade negotiating role was to seek close alignment of the trade-supporting activities of the government with the commercial objectives of Australian-based firms. His international experience gave him a strong interest in the factors affecting the international competitiveness of Australian business, an interest that he was able to pursue as Executive Director of the Business Council of Australia from 1992-96. Key themes in the Business Council’s program at that time included workplace relations and labour market reform; business innovation; national competition policy; electricity and gas reform, and climate change. Since departing the Australian Public Service he has been self-employed in a variety of roles in either self established companies or non-profit organisations with a strong research and public interest focus. Paul Barratt and Sue Wareham, “Australia’s unprecedented decision to snub nuclear talks is irresponsible’, The Sydney Morning Herald, 22 February 2017. Paul Barratt, ‘ANZUS will endure’, Nautilus Institute, NAPSNet Policy Forum, 2 February 2017. Paul Barratt, ‘Managing ANZUS in the age of Trump’, War Powers Reform Bulletin, No. 48, 2 February 2017. 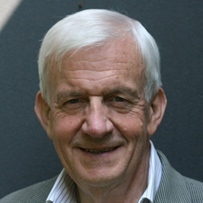 Paul Barratt, A transformational foreign policy (text of 12 December 2016 interview with Eleanor Hall on ABC Radio’s The World Today), in “Pearls and Irritations”, 15 December 2016. Paul Barratt, ‘Abbott’s casualties: A coherent and judicious defence strategy’, Social Alternatives, Vol, 35, No.2, 2016. Paul Barratt, ‘Faulty intelligence, or a war pre-ordained?’, Pearls and Irritations, 12 July 2016. Paul Barratt, ‘Attorney-General’s move to control access to Solicitor-General’, Pearls and Irritations, 1 July 2016. Paul Barratt, ‘Keeping our mind on the important things’, War Powers Reform Bulletin, No. 41, 29 April 2016. Paul Barratt, “The ‘War Powers’ in Australia: why reform is needed”, How Does Australia Go to War? A call for accountability and change: 36-41, CIWI/AWPR, Melbourne 2015. Fraser and Paul Barratt, ‘Going to war is a matter for Parliament’, The Australian, 8 September 2014. Paul Barratt, ‘Asylum seekers: the broader policy context’, in Refugees and asylum seekers: finding a better way, ed. Bob Douglas and Jo Wodak, (Australia21, December 2013), 27-31. Principal of a specialised consulting business, CEO Collegiate, which provides advice to CEOs and leaders of major business units in the public and private sectors on leadership, managing change, corporate governance, the business-government interface and international business. Director, UNE Foundation (Completed two three-year terms; reappointed after Council approved maximum number of terms a director could serve to three). Director and Principal, AADI Defence Pty Ltd (www.aadidefence.com), a limited liability defence technology company. Member, The Armidale School (the non-profit company which operates the school of the same name). Chairman, Australia21 Limited (www.australia21.org.au), a registered non-profit research organisation which raises funds for research on complex multi-disciplinary problems that are important to Australia’s future (Director since foundation of Australia21 in 2001). President, Campaign for an Iraq War Inquiry ARBN 162 022 979, an incorporated association established to campaign for an inquiry into the circumstances which led to Australia’s participation in the March 2003 invasion of Iraq, and to campaign for the relocation of the power to deploy the Australian Defence Force from the Executive to the Parliament. Distinguished Alumni Award from the University of New England (1997). Officer in the General Division of the Order of Australia, for service to public administration, public policy development, business and international trade (1999).